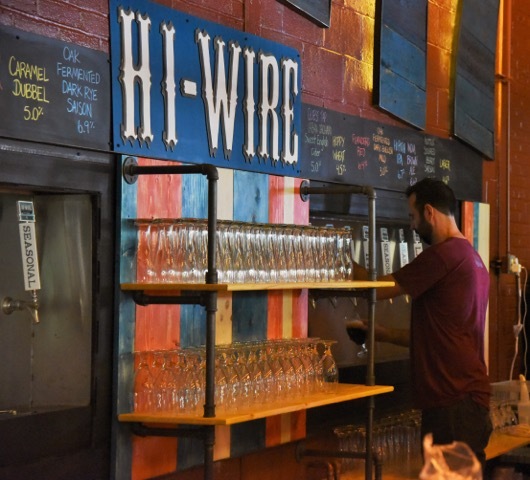 Hi-Wire Brewing opened their new Biltmore Big Top tasting room and brewing facility Saturday, July 25th and I was very glad to be there for a truly incredible grand opening. Hi-Wire showed everyone a fantastic time with circus performers, free tours of the facility, food trucks and a handful of beers created just for this night! I started off by getting one of the one-time-only beers: Flanders Red. This gorgeous beer was Hi-Wire’s first attempt at a sour, just proving that they’re pushing themselves and branching out. 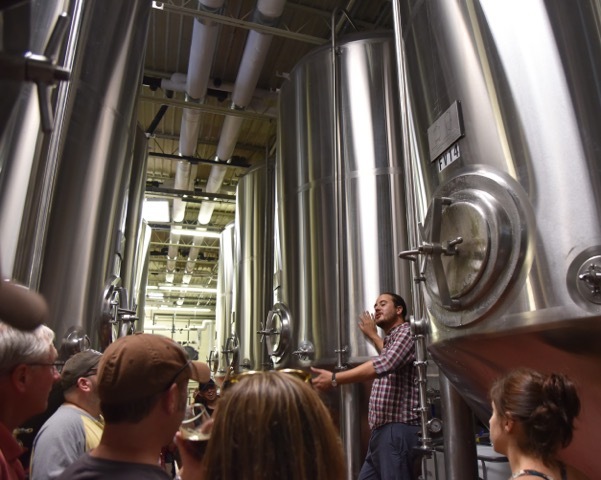 Beer in hand, I took the tour of their new facility with a massive, top-of-the-line bottling system. Our guide showed us where the beer was brewed and explained the process of it. My favorite piece of information I picked up about their brewing process is that they use a centrifuge to perfect the clarity of their beers. He explained how this proves that the brewing process is truly an art because they only turn this off when they see the beer in the glass viewer at the exact color and clarity. 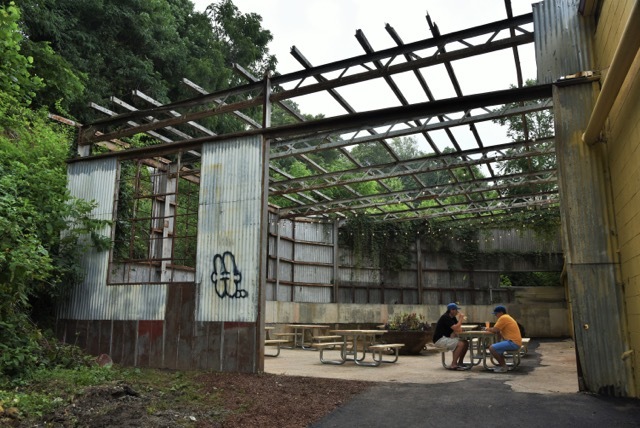 The tour ended in their new beer garden- a cozy outdoor space with plenty of seats, and surrounded by trees. Even though it’s too late to get in on the circus performances, I highly recommend going over to Biltmore Big Top for one of your favorite Hi-Wire beers located at 2 Huntsman Place, Asheville, NC 28803. Their hours are Sunday 1pm-10pm, Monday – Thursday 4pm-10pm, Friday 4pm-midnight and Saturday noon-midnight! Cheers! 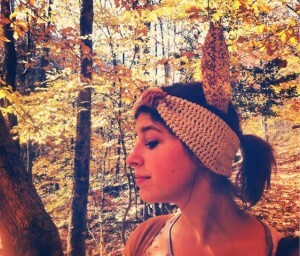 Paige Brown is a travel-writer from the Midwest living in Asheville. She’s lover of hiking, road trips, craft beer, folk music & the Blue Ridge Mountains. When she isn’t traveling she spends her days writing about her worldly adventures on her blog - For the Love of Wanderlust.